The little red Leica circle is a stamp easily identifying the BMW of the camera world. Leica cameras have long been associated with luxury as a timeless brand with a 100+ year history. But with Leica camera’s sleek minimalist bodies and well-known quality comes a high-end price tag to match. What, exactly, does a photographer find when picking up a Leica? A camera — and a story. Here are the little-known surprises in Leica history that both created the powerful camera brand and influenced modern cameras across logos. The first 35mm camera was a Leica. 35mm cameras are standard pro-level film and the inspiration for today’s full frame digital sensors — but the 35mm camera was also the camera that launched the Leica brand. 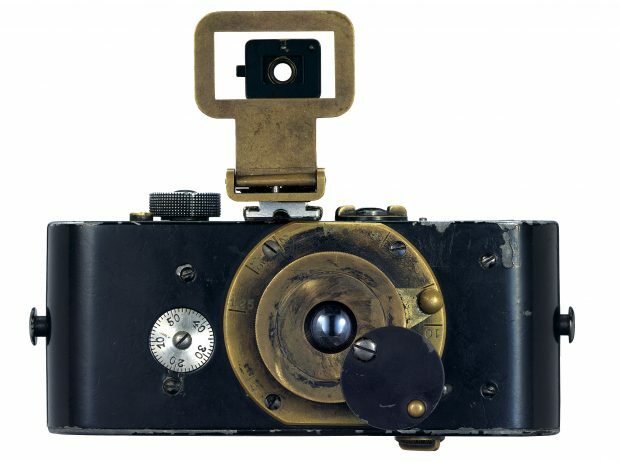 The Ur-Leica was the first functional prototype of a 35mm camera, first created in 1914 by Oskar Barnack. The Ur-Leica was actually initially developed to test exposure for a film projector — or essentially an early cinema camera. But once Barnack developed the testing device, he realized it could actually take pretty good pictures. Before the Ur-Leica, cameras were large boxes on tripods, but Barnack’s invention could was small enough to use handheld, creating a camera compact enough to take anywhere. 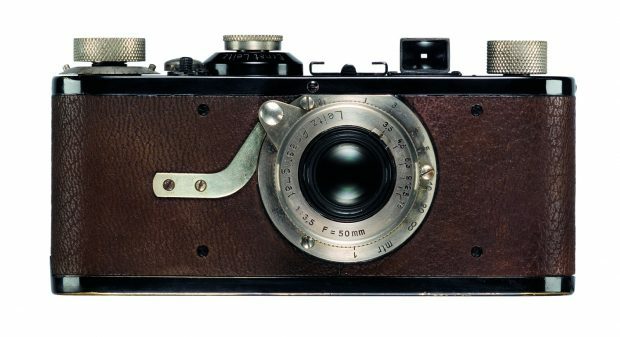 Commercial production was stalled by World War I, but updated versions of that first prototype were eventually sold in 1925, named the Leica I.
Rangefinders were integral to the company’s history — and Leica still crafts digital rangefinders. The Leica I was a 35mm fixed-lens camera — the Leica II was a 35mm rangefinder with swappable lenses. The Leica II was a notable camera because the body used both a rangefinder viewfinder and interchangeable lenses. These interchangeable lenses weren’t the easy lens swaps of today though — they were mounted onto the metal camera body using screws. Leica didn’t quit rangefinders with the digital revolution, however. Leica continues their rangefinder history with the digital M line, including the Leica M10. 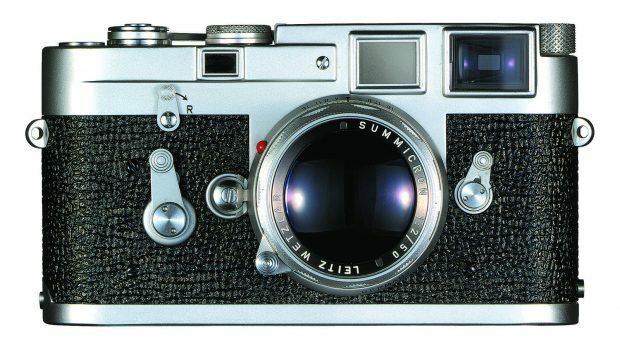 Like the originals, the M10 uses traditional rangefinder manual focus. Maximize your investment. Learn how to make the most of your Leica M10 or M (TYP 240) camera. RSVP now. Leica was integral in the development of modern autofocus. 35mm cameras still influence today’s digital cameras — and so does another Leica creation, the autofocus. As Leica cameras continued to improve, the company’s team behind each camera’s development saw that the light meter responded to the contrast created when the image was in focus. That observation led to another milestone prototype called the Correfot, which used LEDs to detect contrast and a motor to turn the lens. So why isn’t Leica known for creating the first autofocus system? The company decided their customers already knew how to use manual focus and sold the design to Minolta, according to Leica Historical Society member Heinz Richter. The prototype also wasn’t exactly up to today’s standards either — the motor would only run for an hour, despite using six batteries. Leica engineers may have been integral in developing autofocus, but some modern Leica cameras still don’t offer the feature — manual focus lenses may be rather common, but manual focus camera bodies are a rarity. The company stays true to the rangefinder design using manual focus in the M series with a minimalist, historic design. Some of Leica’s other lines, however, like the mirrorless T and TL, use a contrast-detection autofocus system. Many historic images were shot on a Leica. That iconic WWII image of VJ day with the solider kissing the nurse in Times Square? Shot on a Leica. Image of Robert Capa’s death? Shot on a Leica. Leica cameras have documented everything from painting the Eiffel tower to Muhammad Ali. So why are Leica’s behind so many images? One, the company has been around for 100 years. But the company’s iconic photos go deeper than that. The Ur-Leica and the commercially available version, the Leica I, created cameras that could go anywhere. That portability is said by many to have sparked the growth in photojournalism. With compact cameras, journalists could photograph more events, which likely contributed to the number of historic shots that were shot from a compact camera with that little red circle. Leica digital cameras continue a simple, high-quality approach. Because of their luxury price-point, Leica cameras today often aren’t as well known as Canons and Nikons. But, besides the colorful history, why are photographers drawn to Leica cameras now? The camera brand continues to maintain a reputation for minimalist yet high-quality construction. The Leica TL2 is constructed from a single piece of aluminum, the Leica X body is constructed entirely from metal, and the X-U is weather-sealed, to name a few. But what’s inside those sturdy camera bodies draws photographers just as much as the exterior. The Leica Q packs a full-frame sensor inside a compact fixed lens camera with a bright lens and wide ISO range. The Leica SL offers a medium format sensor inside a DSLR. The history of the Leica brand draws still more photographers. The Leica M and M10 has obvious roots in the company’s past with a design inspired by the 1954 Leica M3. 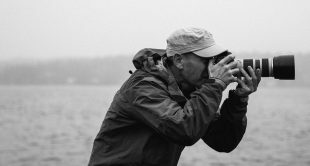 The cameras mix the convenience of digital photography with the tradition of rangefinder photography. 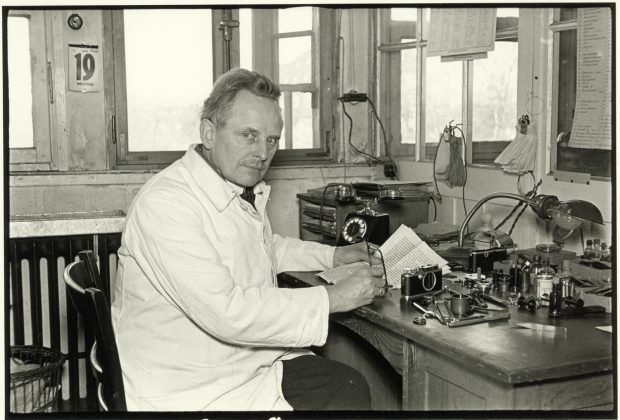 The Leica TL is what the company imagines Oskar Barnack would have designed if he had lived with today’s technology. Today’s Leica cameras are both historically-inspired and cutting edge, well-designed and minimally designed. 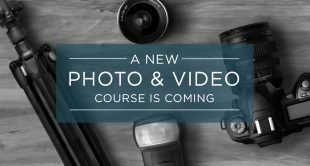 To honor the Leica tradition and modern innovation, CreativeLive is launching our first Leica-focused classes, the Leica M10 Fast Start and the Leica M TYP 240 Fast Start. 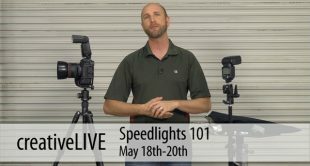 Both classes will be led by John Greengo, a 30-year photography veteran with a serious knack for understanding the tools of the trade. Both classes air live for free on March 15, with the M10 streaming at 9 AM PDT and the M TYP 240 at 1 PM PDT.